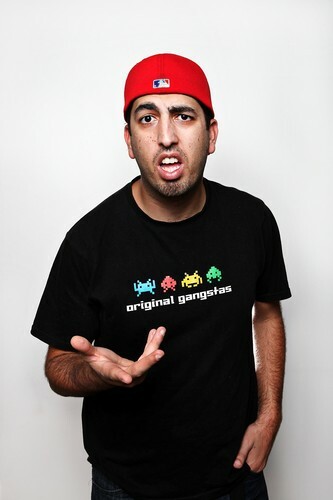 Australian comedian, Anthony Salame began performing comedy in 2005 and has steadily built an army of fans with his cheeky dialogue, clever observations and energetic performances. After quickly establishing himself as a promising young stand up talent, Anthony made his Australian television debut in 2007 as a permanent cast member in the hit SBS series “Fat Pizza”. Anthony also appeared in the 2009 Sydney Comedy Festival Gala TV special and is presently a regular in the cult sitcom “Swift and Shift Couriers". Anthony has performed to sold out rooms at the Adelaide Fringe and the Melbourne and Sydney Comedy Festivals with his solo shows “One Night Stand” and “On Fire”, and was invited to open for US comedians Pablo Francisco, Maz Jobrani and Jo Koy on tours of Australia and New Zealand. Anthony has performed to sold out audiences at all of Australia’s top comedy clubs and has opened for renowned music acts including LL Cool J, De la Soul and Bobby Brown.